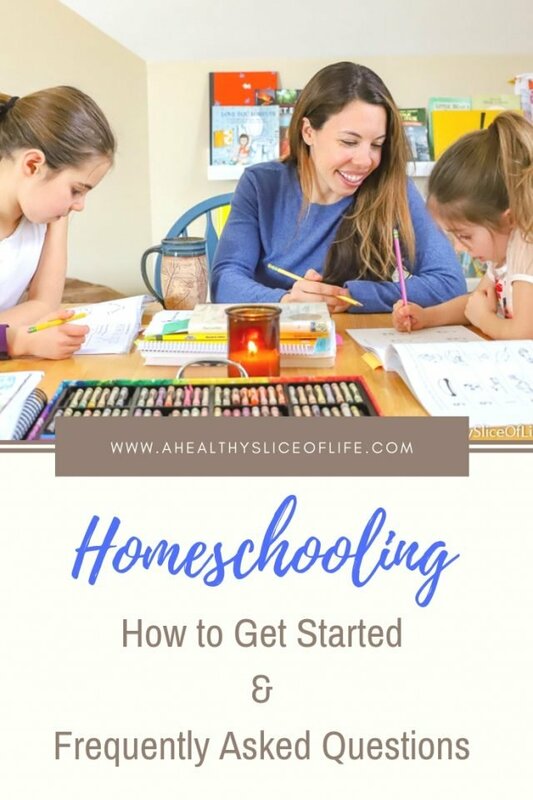 I’ve already shared why we choose to homeschool and how long we plan to do it, which answered many of the questions I get asked most often. However, I also get inquires about the nuts and bolts side of homeschooling. 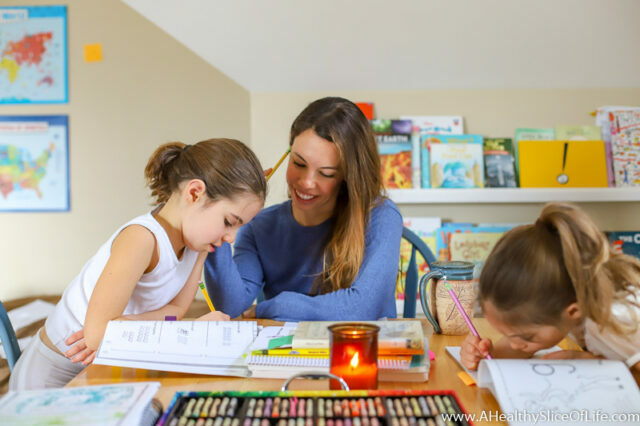 I get a lot of questions about how to get started with homeschooling– Is the required documentation? What kind of records do homeschool parents have to keep? Where does one begin to search for curriculum? Are there standards that must be met? Those are all wonderful questions and just what I hope to cover in this post. Let’s start first with the serious stuff- the legal side of things! States not only have different histories, but they also can differ greatly on their legal requirements. You can see an overview of which states require the most oversight/assessment here and find a complete list of laws by state here. Learn your state’s legal requirements. Find nearby homeschool communities. Whether it’s a co-op or a facebook group or a library crew, find at least one other homeschooling family for support. Once I found one or two friends, I felt like this whole secret world full of homeschoolers was revealed to me. You just have to find a thread to start pulling on. Research different educational philosophies (see list below) to see what resonates most with you. You don’t have to pick one and stick to it forever, but it’s nice to have a general mental picture of what your educational philosophy/goals looks like. Research the curriculum that fits with your style and your child’s learning style. Check out CathyDuffyReviews, attend conferences, talk with other homeschooling moms, go to meet-ups and play dates, and visit homeschool consignments stores where you can flip through the materials. Charlotte Mason – Mason was a 19th century British educational reformer whose philosophy emphasized high-quality literature, nature study, and narration — or students’ repeating learned information in their own words. Waldorf – Rudolf Steiner developed this philosophy in 1919. It places a strong emphasis on child development and educating the student as a whole person: head, heart, and hands. Classical – Childhood learning is divided into three different stages: grammar (the foundation years), logic (the middle school years), and rhetoric (the high school years). This three-part model is called the trivium. Interest-Led Learning – This method is sometimes referred to as unschooling, a term coined by educational pioneer John Holt. Homeschoolers who follow this style allow their children’s interests to form the basis for their studies; they believe that children are by nature curious and have an innate desire to learn. Montessori – Maria Montessori, an Italian physician, developed this philosophy in the early 1900s. It focuses on hands-on experience, movement, choice, and order in the learning environment. I receive a lot of questions about homeschooling and here are some of the most common. Obviously I am not able to speak for all homeschoolers, so I am answering these to the best of my ability from my personal perspective. If you homeschool and would like to chime in with your perspective, I’d love for you to add it in the comments so people searching for answers can get multiple perspectives. How do I start to look for curriculum? Once you have an idea of the educational philosophy that best fits your goals, you can start there. You will most likely find so much it feels overwhelming (I did! ), but remember you can always switch things up down the line if it isn’t working for you, so don’t worry about picking the perfect curriculum from the start. My best advice is to start small and then slowly add things in. Needs will obviously differ according to the age/level of your child, but if starting early (kindergarten/1st grade), start with the core subjects: math and language arts. Find curriculum you love for those, then slowly explore how you like to incorporate science, geography, history, etc. Don’t try to do too much at once or everyone will end up overwhelmed. You can buy boxed sets that have every subject for a grade in one set or piece together your own curriculum. I highly recommend finding a homeschool consignment shop, a homeschool conference, or a few homeschooling friends so you can look through materials with your own eyes and hands. Also, many curriculum will offer sample downloads of lessons so you can read through it and try it out before you commit. For virtual curriculum help, I recommend checking out Cathy Duffy Reviews. We attended two before we started and found them very overwhelming and I’m not sure I got a lot out of them. However, now that we are two years in, I would LOVE to go to one to listen to the speakers, peruse the booths to see what I might want to add to our set up (there are new resources being created every day), and chat with other homeschooling families. Do you have to have teaching experience? It can be, but it doesn’t have to be. There are a plethora of free and online resources and I truly believe you could homeschool with nothing more than an active library card. It really depends on what fits for your family. Do you worry about the non-academic, life-lessons my kids are missing? Not at all. I don’t believe the word socialization means spending the weekdays surrounded by 15-35 kids their own age. And if that is what it means, then I’m ok on them missing out on it. I love that my children can spend their daily lives with adults, babies, and everyone in between and feel they are very healthy, kind, well-adjusted children at this point in time. Are there end of year test requirements? In North Carolina, yes, we take an end-of-year assessment test. Some states require more than that and others require little to no oversight. See the list above for state by state regulations. How far in advance do you choose and order curriculum? When I first got started I chose and ordered curriculum months in advance to give myself time to read through it and feel comfortable. Now that I’m more in the groove with our days and needs, I sometimes order what we need the week before we need it. It’s whatever works well for you! How much of the day is spent on academics versus free time/routines? To reiterate, I can only speak for our homeschool. We spend a solid three hours a day focused on academics. To some people this may not sound like much and to others, it sounds pretty intense for a first grader and pre-K age child. We generally begin by 9AM and finish up around 12/12:30PM when it’s time for lunch. The time after that is for free play and activities (dance, swim, etc). We also add in reading and math throughout the afternoon and evening, so we could add that to our total time schooling as well. I’m sure this will change depending on grade level, but it’s working for us right now! Do you ever have problems with the girls not wanting to do their work or seeming to resent you? I have never felt resentment, though we’ve had our share of days that things just don’t seem to click. When I first started homeschooling, I’d push through the day at all costs to be able to check off my list of assignments. Now that I’m *slightly* more seasoned, that makes me laugh. Of course there are times Hailey has to learn to buckle down and focus even if she isn’t feeling it, but I know my children so well now that if it’s really a rough day overall and the schedule just isn’t working, we take a breather. Either I’ll find a more fun and engaging way to teach the concept, or we’ll just call it and spend the morning reading, playing games, and doing puzzles. That kind of flexibility is definitely a perk. What is great Pre-K curriculum to start with? We really loved The Homegrown Preschooler, which is play-based, hands-on curriculum. I have also heard great things about The Peaceful Preschool. We use Explode the Code workbooks for Kaitlyn (4), too, because she really wanted to be included in some of the worksheet type work (though I wouldn’t have pushed it otherwise). She also reads from The Good and the Beautiful “K” level reader. Is it difficult to juggle different ages? At first this was really overwhelming to me, but it hasn’t been as much as an issue as I anticipated. There are several subjects we can all do together (science, geography, etc) with each child taking away from it what is developmentally appropriate for them. When I need to spend more time focused on my first-grader for math, or language arts, I have a basket of puzzles, Magnatiles (which I HIGHLY recommend having), dolls, and other activities that she goes to play with solo. It’s a win/win- focused attention for my older daughter and autonomous playtime for my younger. Are there options if both parents work full time? I’m a believer that there are always options if something is important enough to you. 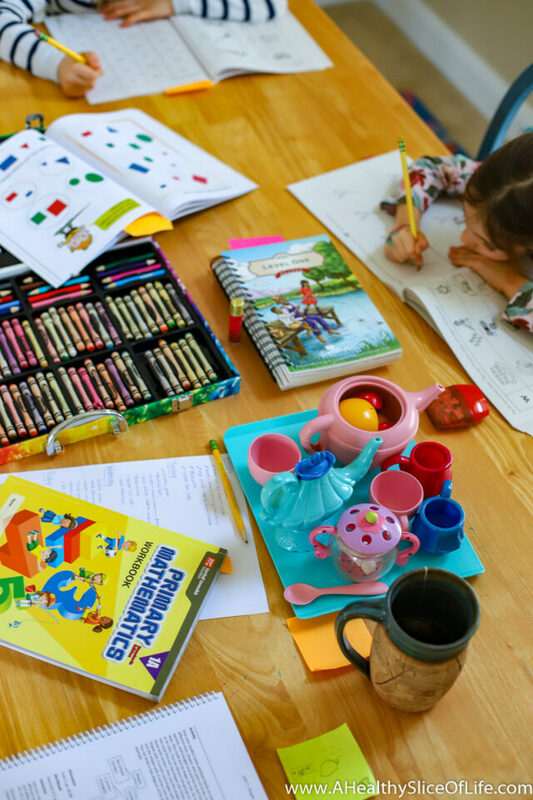 This article does a nice job mapping out some basic considerations and methods to homeschooling while working full time. Do you feel like you get enough time to yourself? No because I’m not sure if anyone in this stage of life feels like that have enough time to themselves. I have a lot of friends, the majority of which do not homeschool, and most of them feel as though there is never enough time in general, much less enough time for themselves. I certainly don’t feel as though I have extra time, but one of the gifts of homeschooling is that it allows me to have more hours in play to decide how we will spend them. For example, you can see how I map out my days in this post. I say yes, though, because I do not feel the need to be a cruise director. I run the school day, but after lunch the girls run off and play on their own with allows me time to work and them time to just be kids. It works because I only have two kids and they are 4 and 7, which allows for more autonomy. I can’t answer this question for how it may look for someone with more children and children still in the more physically dependent nap/diaper stage. If you have any questions you are seeking answers to that I missed, please leave them in the comments and I’ll be sure to answer them. If you are a homeschooling family and have your thoughts and opinions to add to any of the frequently asked questions, please chime in! This is SO helpful, thank you!! We’re considering homeschooling in a couple of years and I honestly hadn’t even thought about many of these questions. I was a teacher for 10 years and plan to go back to the classroom when my youngest is in 1st grade. My state has a big homeschooling population. I’m curious do you go off of the state standards when planning curriculum? We would map out our year, and visit it throughout the year to make sure we were hitting everything. Just talking to some parents here whose kids are in middle school/high school now and we’re homeschooled before, they often say their child is now trying to catch up. I know not every child that is homeschooled is behind but when parents around me bash public schools (and we have great ones my kids go to and they’re in dual immersion for Spanish) I wonder if all parents have thought it out as much as you have you. I’m glad to hear you encourage parents to attend conferences and get involved. If I wasn’t a teacher before I’d be completely overwhelmed with the process. Love the analogy comparing a homeschool teacher to grandma’s cooking (even though I happen to have both the culinary and engineering/ teaching degree/ certification- ha!). I do feel much of my competence in both teaching in the classroom and cooking has come from my experience rather than my degrees and certifications. I’ve definitely found teaching to have a very steep learning curve, and no time was this more apparent than my first year (something no degree can really fully prepare anyone for). This is so thorough, and I think any parent considering homeschool will benefit from your post. I loved the website you linked that covers the history of homeschool in each state—how interesting! 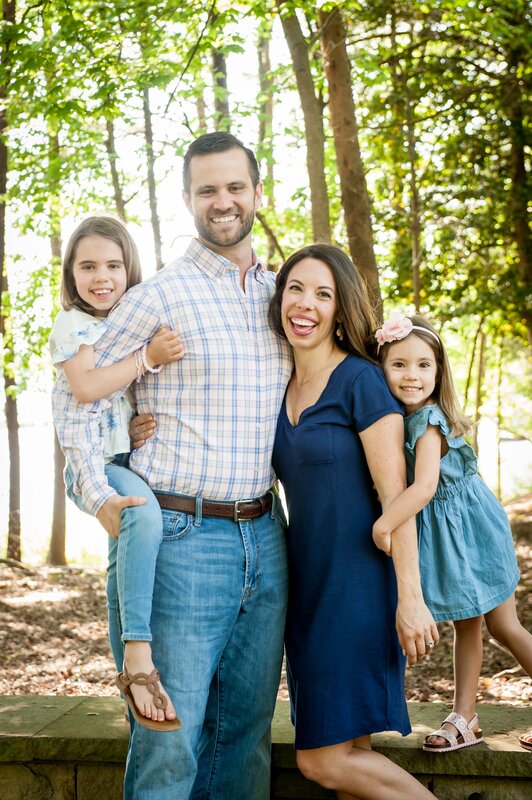 I followed the same process as you did before deciding to homeschool our girls. I also greatly benefited from homeschool podcasts, especially if they had a “getting started with homeschool” themed episode. My favorites are: The Homeschool Sisters, Julie Bogart, At Home, and Pam Barnhill. 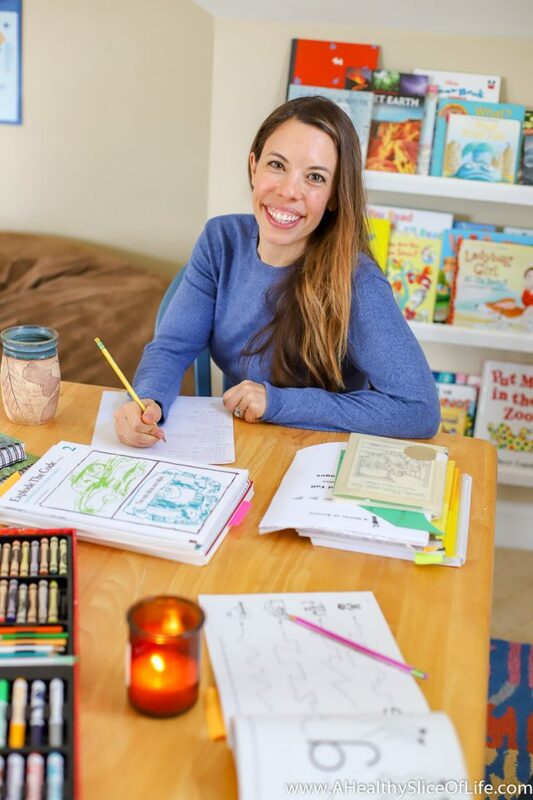 Thanks for organizing this information and articulating it so well—I’m keeping it in my back pocket for when I get questions from friends thinking about homeschooling! I love hearing from a homeschool mama who is a few steps ahead of me in the game. It’s so nice to hear the reinforcement that they early years really are best spent in play and nature. Thanks, Sarah! I have been homeschooling my 9 yo son from the beginning, and will be keeping my almost 3 yo home as well. Play is the most important work for children, and so often, there just isn’t enough between sitting in a desk for 6 hours and any structured activities. Lots of nature, library trips, read alouds, art, movement, and deep dives into subjects of interest are what make up our homeschool. Of course, there’s math, science, and history, but many times they all combine into one if you really break it down. This lifestyle works really well for us, and especially because my big boy has low muscle tone, sensory processing disorder, and is being evaluated for ADHD/ASD. This allows time for his Occupational therapy and whatever else is going on. We can focus on what he needs, and be at a pace that works for him. Friends are so supportive and there’s a community of understanding and kindness. There are days where I want to rip my hair out, but honestly, I wouldn’t change it for the world.